The court acquitted Jon Johansen on all charges and said he did not break the law when he created a system that could remove copy protection on DVDs. The ruling by the court said there was no evidence that Mr Johansen was helping people break the law as the US film industry claimed. The decision is a serious blow to US entertainment industry ambitions to extend control over what people can do with the movies, music and software they have bought. In 1999, Norwegian police raided the home of teenager Jon Lech Johansen following a complaint by US entertainment giants that the software he had created was being used to help people pirate DVDs. 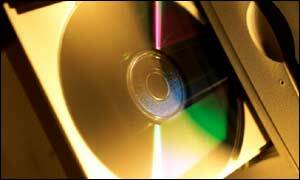 Mr Johansen produced software, called DeCSS, that could strip the Content Scrambling System (CSS) from DVD disks. Mr Johansen said he created the DeCSS software to let him watch DVDs he purchased on a Linux computer rather than an expensive DVD player. Mr Johansen maintained that he should have the right to watch films he had legally bought on a device of his choosing. Now the Norwegian court has backed Mr Johansen and said there was "no evidence" that what he did was aiding DVD piracy. With no evidence that Mr Johansen was engaged in piracy or that he was aiding others to illegally copy disks the Norwegian court had no choice but to acquit the teenager. The court also ruled that it was not illegal to use DeCSS to watch legally obtained DVD films. The court case pitted the mighty Motion Picture Association of America against Mr Johansen and was widely seen as a test case for US ambitions to extend its control over what people can do with copyrighted materials. The Norwegian newspaper Aftenposten broke the news about the court case. US laws, such as the Digital Millennium Copyright Act, have encouraged movie and music industry associations to pursue people who they see as aiding piracy. These ambitions have been dented recently by two court decisions. The first concerned Russian software firm Elcomsoft which was accused of creating tools that could unlock encryption controls of electronic books. But in late 2002 a US court acquitted Elcomsoft and said the firm had done nothing wrong. Now Norwegian judges have issued another rebuff to the US entertainment giants. "Hollywood is limping away from this fight"